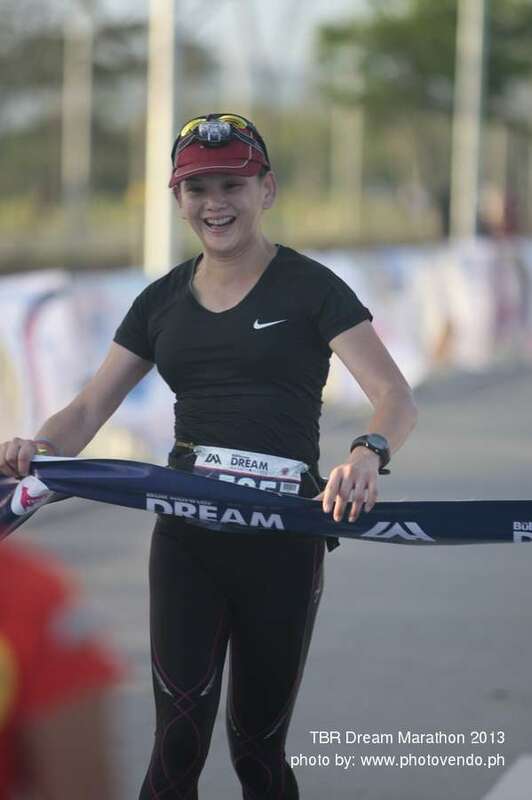 She ran 42.195 kilometers and crossed the finish line in 4 hours and 44 minutes. Her dream was conquered on 6:44 am. Sunday, Feb 24, 2013. I hardly know Tere last year. First time I met her was in February when she attended an evening class. 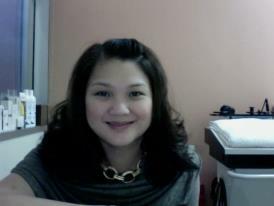 Meet Dra Tere of CF Manila Libis. Our resident dermatologist (lol! 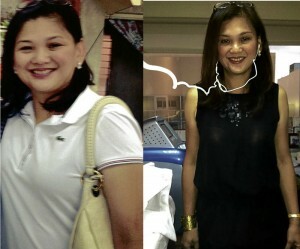 ), a mom, a housewife, a doctor and one of the woman who WOD and brunch. This photo was less than a year ago. The second time we met was on a Saturday afternoon class in March. It was a partner WOD at Crossfit. Yen and I agreed to be partners in the WOD since we were about the same strength then but Miggy changed the pairing. The WOD would require you and your partner to do two types of exercise simultaneously then switch exercise when the required reps are done. You do as many rounds as possible of that exercise and the required reps within 7 minutes before you proceed to the next station which is another set of exercises. That means you cannot proceed until your partner is done with her rep. Your score will be the number of rounds you will finish in all stations. 3rd Station: Kettlebells and 200 meter run. For most of the rounds, I had to wait for her which meant more rest time for me. But the third station was different, I have to do as many reps of KB swings while she runs 200 meters.She was supposed to sprint 200 meters but it turned out she had to walk after running 100 meter. That meant I have to keep on doing KB swings until she finish. First round – Fine, it’s only your third or fifth session of Crossfit. Second round – FML, go faster…Nth round-Doctora, this is not an Hermes store. We were able to get a decent score though. We started at the wrong WOD. Who would have thought we will become friends later on? It was a done deal! When they walked out of the cafe, I had a flashback of our first WOD experience. How can someone who can’t run a hundred meter straight run a marathon in a few months? Since the goal is for her to run a marathon in less than a year,I told her to work on strength, endurance and lose weight. Crossfit and Paleo was the answer. She started to be a consistent fixture in the Crossfit 10am or noontime class under the Coaching of our Ninja Coach Jordan. She followed the Paleo diet. She started running 10 minutes, 30 minutes….or more on weekends (not consistent yet). Being a doctor and a mom and housewife, her Sunday schedule wouldn’t permit her to train and run longer. 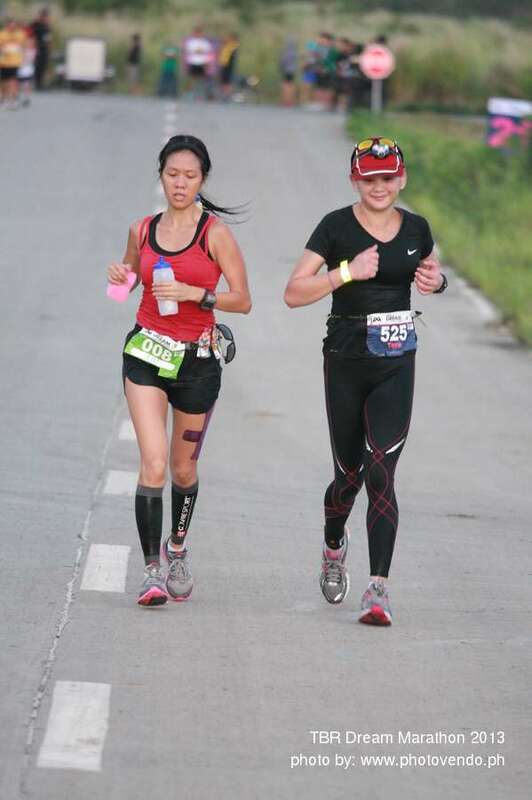 It wasn’t until the third week of June during our training for the CFMnl Throwdown at Ultra that she really ran longer than 30 minutes. She joined our 400 meter intervals where she averaged 2minutes and 30 seconds for about ten reps. Amazing for someone who is not running consistently and who can’t even run a 100 meter 3 months ago?! It was a total 8 k run including warm-up and cool-down. That was her longest run ever! 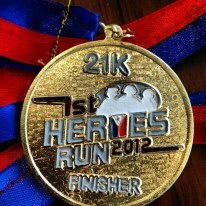 I still have doubts then if she really can be a marathoner with 8 months to go. Maybe, to finish. But it wouldn’t hurt to give it a try – make an experiment. We started to plot her program and identified when her first 10k, 21k, 30K will be. 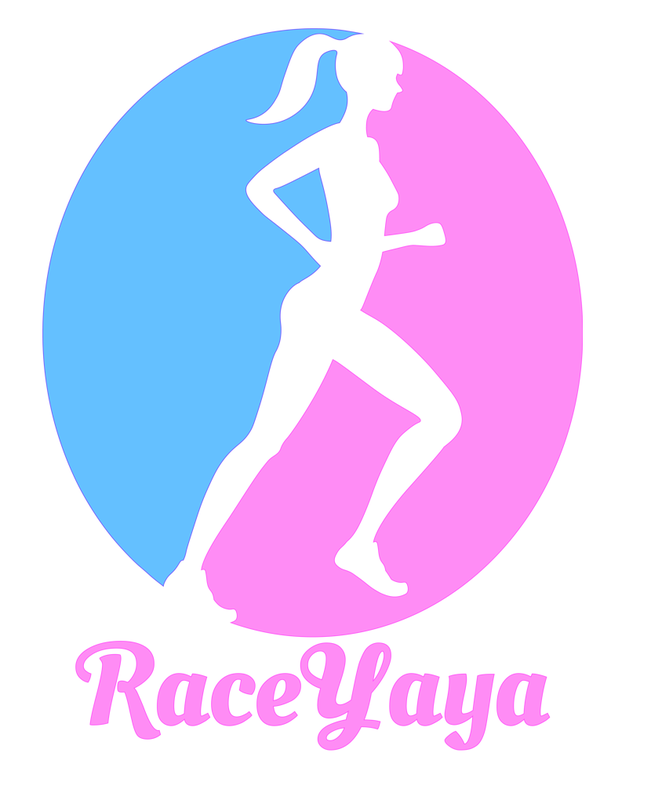 It consists mainly of short intervals and tempo runs on weekdays, endurance runs on weekends. Coach Pau and Matt were accomplice in our little CF Endurance experiment. We believed that she can and we agreed to work on it. But the most important factor is the athlete – Tere was willing and dedicated to progress. We’ve seen Tere beating her target times and distance on the run workouts, killing workouts at CrossfitMNL and losing inches everywhere. My role was to monitor her progress in her run workouts. We would talk with the Coaches in Crossfit MNL on extra WODs for days when we need to do Maximum or Dynamic effort on strength training, long metcons or other specific workouts. Adidas 16.8k was her first race. She ran strong and finished in 2:01 (sans cramping on the last 800 meters she could have finished in 1:50ish). After Adidas, her training was focused and very specific on Marathon, following a hybrid Crossfit Endurance program tailored fit for her. She ran her first 21K race on the first weekend of December in 2:32 and was able to beat that in February at Condura with a 2:13 finish time. We also started working on speed and power. 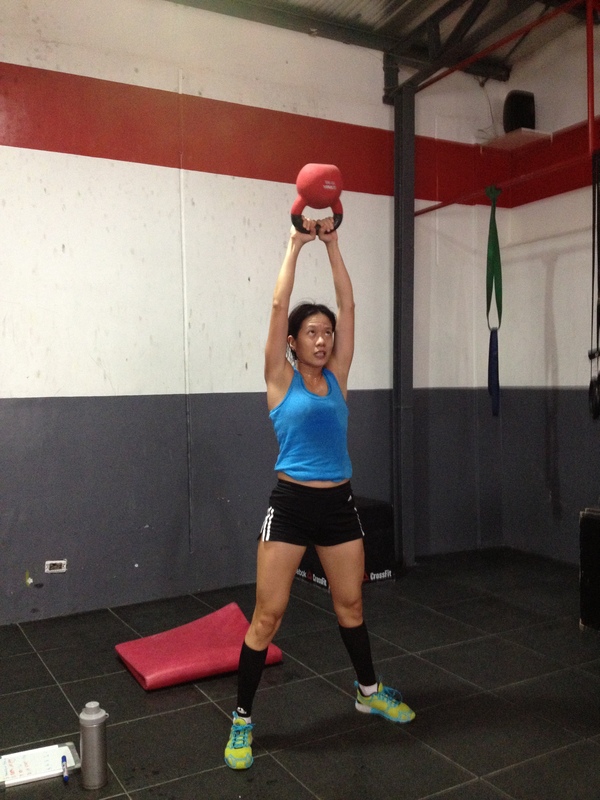 Tere is one tough girl (She was really toughened from Crossfit and Run Training). She even beat her PR in 21K by 3 minutes (in a tougher course than Condura) during the race. My role was mainly to tell stories, remind her of her nutrition intake and cheer everyone at the turnarounds. 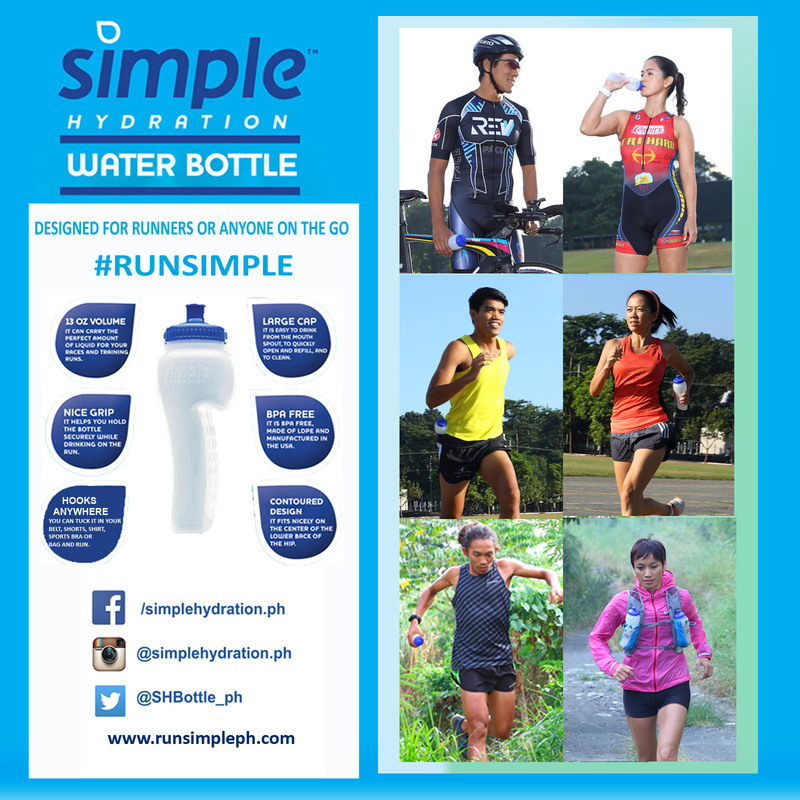 I’d keep her temp down by dousing her with water using my Simple Hydration bottle (not a plug hahaha, it’s a fact!). 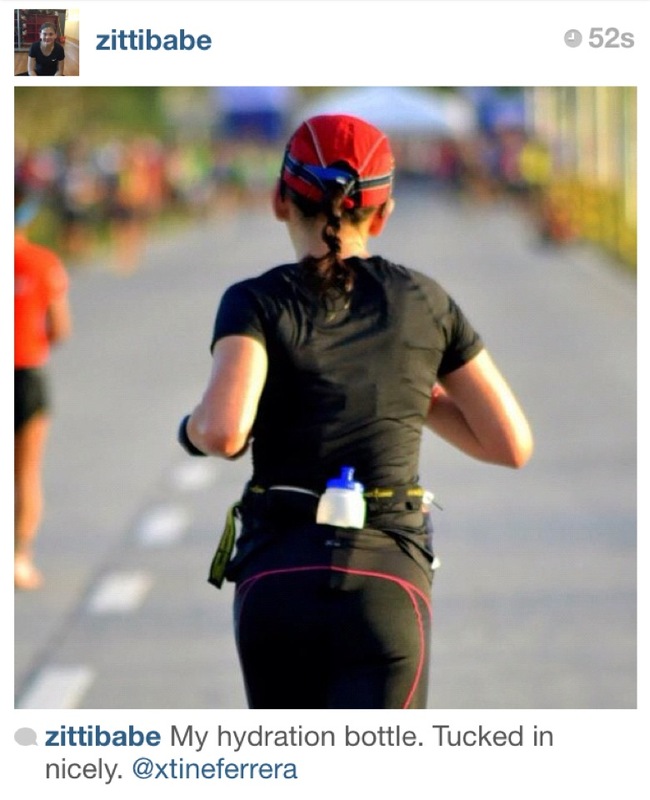 At the aid stations, I’d ask her to proceed so I can refill and I will just try to catch up. I was thinking it is uphill and it would be easy to catch up. FML! She was still going fast – it turned out to be a hill repeats for me trying to catch up on her pace after each refill. She never slowed down. In fact, I would remind her to slow down when it looks like she’s pushing too hard based on her breathing. 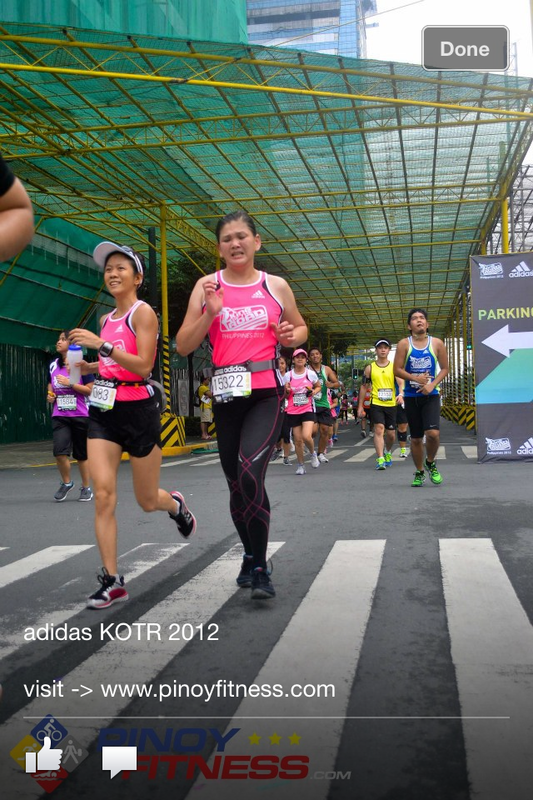 The 30th kilometer turnaround was like a dejavu. In exactly the same place, both Helen and Tere told me their legs are cramping and they have to walk. And I said the same thing, after massaging the calves – Just keep walking then let’s start shuffling faster. If you walk, it will be more painful. Both of them believed me and pushed harder. There must be a Cramps Ghost in that area! 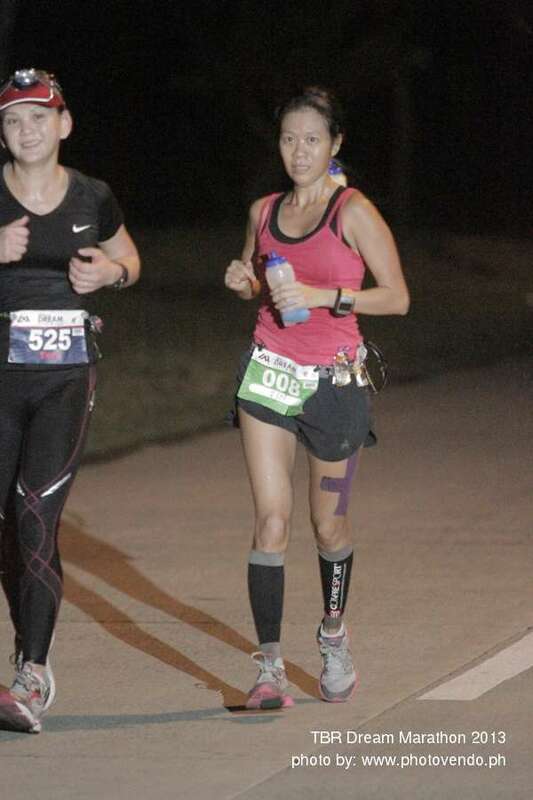 As we pass by the chasers’ aid station again, I knew Tere will finish strong. It is mostly 10K of downhill from there and we have this downhill running secret strategy. I saw my friend, JM when we were on our last 6 kilometers. I said “Balikan kita”. (will come back for you). Tere was still running strong, I am the one chasing her at this point. My mind kinda bonk when I realized I need to run again after this finish for JM. I let her proceed and run her race at the last kilometer. I knew she can make it and I am really having a hard time to catch up. The pacer bonked while the runner dashed to the finish line. Having journeyed with her in fulfilling her dream, nothing can make me prouder than seeing her Run and Finish her own race STRONG! So, who wants to do a partner WOD with me at Crossfit. Let’s have coffee after. Maybe, we can start another DREAM.